We finally had some really nice weather this trip. Each day we were there it seemed to get a little warmer, and except for some very brief wind on a couple days it was picture perfect. It was nice to be able to hook up with some friends that frequent this area. We seem to really click with this group and they make sure everyone eats very well! 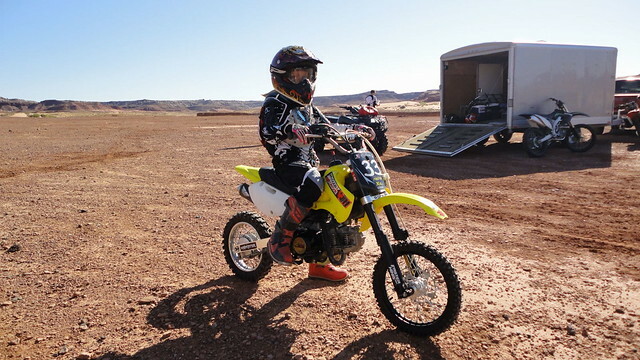 We did a number of trails while we were down there, some new to us, and some old classics as well. The first day we made the trip to Crystal Geyser(more to come on this later), this was an easy ride and fun for the whole family. 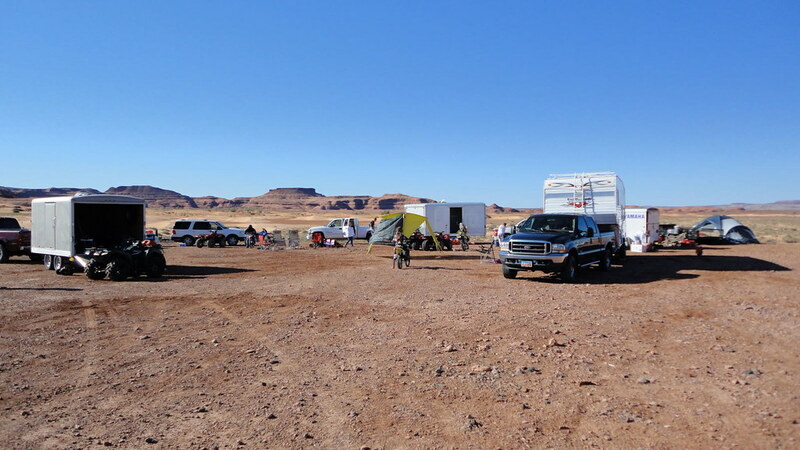 In the afternoon a smaller group of us did the Dead Cow Wash Loop. 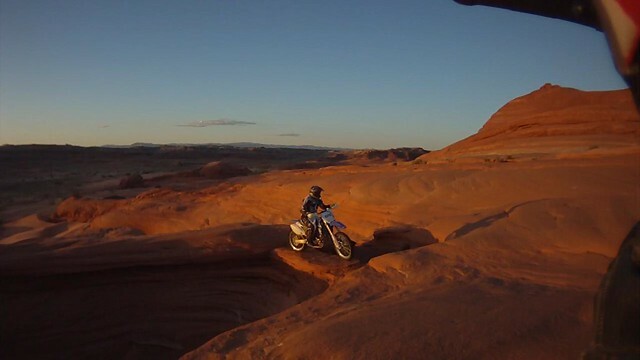 The following days, some did 10 mile canyon, and some of us explored the Secret Spire area towards Moab. 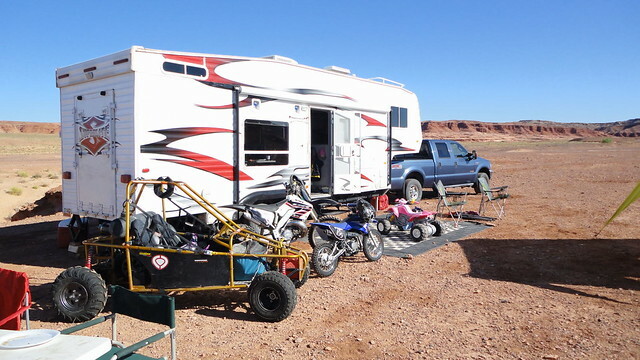 Later I took the family on some rides on the Dead Cow Wash Loop. in between all of this we played around the dunes, slickrock, and trails near camp, shown on the video below. This area really gives a unique experience with the sand, slickrock, canyons, and a whole bunch of other terrain that seems to go on and on. The Dee Flat Trail was one that I had not ridden before, so I made a point to go find it one afternoon. It was a really great single track trail climbing up through some boulders North of the wash. It wasn't very long, but it links to some other trails making some great looping routes to and from the dunes. 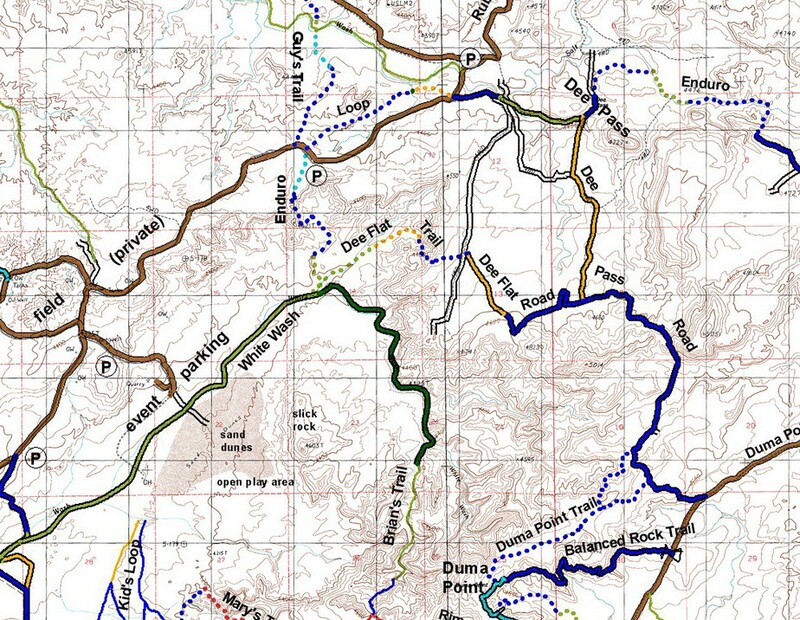 This small section taken from the full trail map shows the area with Dee Flat in the middle. 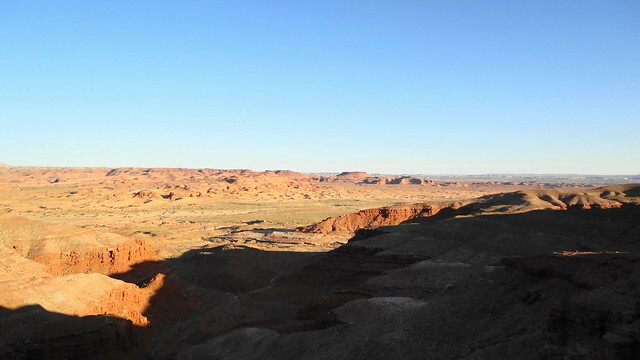 To reach the start of the Dee Flat Trail, travel North/East up the wash from the parking/dune area, veering to the left shortly before reaching the point where the wash turns 90 degrees SE(just before the big slickrock overhand on the left). If you have a GPS, go to 38.811761,-110.018168 and head NE up the small wash.